How to write a classification essay? A classification or division essay groups objects, people, or events by the characteristics that they share. Usually, the writer begins with a group of people or things and then separates them into subgroups or types. 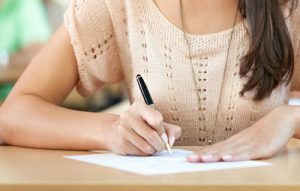 There are several steps to writing an effective division or classification essay. Establish a subject. Select a topic that has a general grouping that can be classified into subgroups or classifications. Present a clear thesis. Thesis should inform reader of your purpose or intention and the principle of classification. Follow an organizational pattern. An outline of your subgroups and their characteristics will help you write a logical classification essay. You should include specific details that form a basis of classification. Use transitions. Transitional words help the reader follow your cause and effect analysis. Draw a conclusion. Restate the thesis and reach a conclusion concerning the group and subgroup. Conclusions for classification essays offer an opportunity for creativity, including humor or a recommendation. In your introduction, clearly identify your subject–in this case, the group you are classifying. If you have narrowed your subject in any way (for example, types of bad drivers, rock guitarists, or annoying moviegoers), you should make this clear from the start. In your introduction, you may also want to provide some specific descriptive or informative details to attract the interest of your readers and suggest the purpose of the essay. Finally, be sure to include a thesis sentence (usually at the end of the introduction) that briefly identifies the main types or approaches you are about to examine. Begin each body paragraph with a topic sentence that identifies a particular type or approach. Then go on to describe or illustrate each type with specific details. Arrange your body paragraphs in whatever order strikes you as clear and logical–say, from the least effective approach to the most effective, or from the most common type to the least familiar (or the other way around). Just make sure that the order of your body paragraphs matches the arrangement promised in your thesis sentence. The concluding paragraph gives you an opportunity to draw together the various types and approaches you have been examining. You may choose to offer a final brief comment on each one, summarizing its value or its limitations. Or you may want to recommend one approach over the others and explain why. In any case, make sure that your conclusion clearly emphasizes the purpose of your classification. What you’re doing when you classify is finding the common denominators among ideas or objects that are different: What do eggs, ice cream, and Swiss cheese have in common? Well, monster cholesterol, for one. But is there classification there? This might b e a topic that works better as cause – effect. Be sure you don’t stray beyond the point of your assigned rhetorical form unless your professor has allowed this. Once the classifications are under way, make sure they don’t overlap. Don’t omit an important category (all classifications must completely classify the topic or run the risk of merely being isolated examples). Make sure that they remain logical. Division, or analysis, breaks a thing down into parts so that (typically in a later essay like the argument/position paper) , they can be restructured to form something new, or a synthesis (can you spot an important six – letter word hiding within “synthesis”?). Every time you outline, you do a division, breaking the essay down into all of its constituent parts (as in classification, failure to discuss all the parts results in an incomplete division paper, stocked only with isolated examples). While classifications are separate, even disparate items brought together under some common denominator, divisions are much more explicitly parts of a single whole.